Today all over the United States most of you will take a few minutes to say thank you to a veteran. It could be your father, mother, uncle, aunt, grandparent, brother, sister, friend, neighbor...and, if you look around, you might find that one or more of your co-workers is a veteran! It is true. So often we can work side-by-side with a person and may never know that he or she served in the military, or perhaps is still in the reserves or National Guard. Meet Sean Kelly. Sean is a Case Manager at PACE Recovery Center. 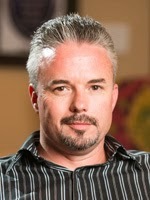 Sean began working in the treatment field as an interventionist in 1995. He is a Chemical Dependency Counselor with a specialization in Mental/Co-Occurring Disorders. Over the last 17 years, he has helped hundreds of individuals seek treatment from drugs and alcohol. Sean is a proven expert in coaching individuals who are resistant to change seek long-term recovery. It is his hands on approach that is most valuable to the Clients at PACE Recovery Center. Sean’s gentle demeanor creates an environment for the Clients to connect with feelings and vulnerabilities that have prevented them from maintaining sobriety. Sean is also a Marine who proudly served our country. It is this background that helps him teach the Men of PACE Recovery Center how to accomplish goals, create discipline, and develop accountability. Sean’s own personal struggle with addiction allows him to meet the Clients where they are at in their own recovery, and help guide them on their recovery journey. Sean is an active member in the recovery community. His philosophy is to treat people with love, dignity and respect. It's this mentality that allows him to create an alliance, which allows for the therapeutic process to take place between him and his Client. This relationship empowers the Client to gain the skills necessary to recover from drugs and alcohol. Sean studied at Centaur University to become a certified Chemical Dependency Counselor. 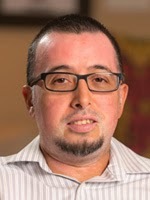 Meet Victor Calzada Victor is a Resident Manager at PACE Recovery Center Victor joined the United States Marine Corps right out of high school in 1995. He proudly served as a heavy weapons operator. While in the service, Victor was recognized for his, honor, courage and commitment. While serving in the United States military, he learned the important characteristics of working as a team. After his tour in the military, Victor worked for the Correctional Systems for 6 years as a Correctional Officer. Victory was known for his keen ability to listen and help them problem solve any issues they might have been experiencing. An area that Victor is passionate about is working with people who have substance abuse issues. Victor has had his own personal struggles with chemical dependency issues. He believe that the combination of opening our hearts and minds, with the right guidance, we can overcome our issues. He believes 12-step program is an excellent template to follow for a long-term recovery. In his spare time Victor enjoys spending time with my family. He is a proud father of 3 wonderful children. His hobbies are repairing electronics and restoring antiques. Take just a minute to say "thank you" and remember to live your "thank you"